Rabbi Yaakov David Willowski (1845-1913) of Safed, known as the 'Ridbaz,' was one of the most vociferous opponents to the hetter mechirah - the temporary sale of land in Israel to a non-Jew in order to avoid the restrictions of working the land during the Sabbatical year. More interesting than his Halachic objections to the sale, however, is the philosophical argument that the rabbi of Safed raised. The stated purpose of the hetter, the Ridbaz wrote, is to uphold the mitzvah of Yishuv Ha'aretz, settling the Land, by allowing the fledgling agricultural settlements in the Land of Israel to grow and prosper. But if the legal sale is indeed effective, then the Land would lose its sanctity and the special agricultural mitzvot - tithes, the Sabbatical year, and so on - would no longer apply. And if the Land is not holy, there is no longer a mitzvah to settle the Land. Thus the hetter in effect undermines the very goal it was designed to support! To paraphrase the Ridbaz: the whole purpose of our return to Eretz Yisrael is to fulfill its special mitzvot and experience its unique sanctity. If we use loopholes and legal fictions to avoid these mitzvot, we may as well be living in Warsaw or New York! In response to this difficult situation, three prominent rabbis met in Vilna and devised the hetter mechirah, based on similar legal sales to avoid the prohibitions involved with bechorot (firstborn animals) and chametz on Passover. 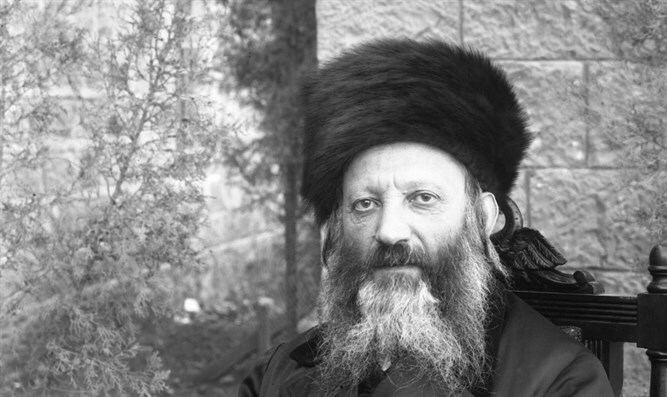 The hetter was approved by famed Halachic authority Rabbi Yitzchak Elchanan Spector. However, many prominent rabbis opposed it, including some of the greatest authorities of the time - and the controversy over the hetter mechirah was born. As rabbi of the town of Jaffa and its surrounding communities, Rav Kook needed to take a position regarding the hetter. While still in Europe, he had discussed the issue with his father-in-law (later chief rabbi of Jerusalem), and they both decided against supporting it. But after coming to Eretz Yisrael and seeing first-hand the great need for the hetter, Rav Kook changed his mind and became a staunch supporter of the leniency. Prior to the Sabbatical year of 1910, he penned a Halachic treatise in defense of the hetter mechirah, entitled Shabbat Ha'aretz. In his remarks defending the hetter, Rav Kook responded to the Ridbaz's objection that the hetter undermines its own stated goal - supporting the settlement of the Land of Israel - because selling the Land to non-Jews annuls its sanctity and circumvents its special mitzvot. This argument, Rav Kook explained, is based on the false premise that the special holiness of Eretz Yisrael is limited to mitzvot ha-teluyot ba'aretz, those mitzvot that only apply in the Land. According to this view, once these special mitzvot are no longer binding, there is no longer any holiness to the Land and no mitzvah to settle it. But this is not the true outlook of the Torah. Instead, we should compare the mitzvah of settling the Land of Israel to the mitzvah of studying Torah. While it is true that Torah study enables one to learn how to properly discharge all mitzvot, one cannot say that the value of Torah study is only as a preparation to fulfilling mitzvot. In fact, there is an intrinsic holiness in the act of studying Torah. Even when studying subjects which have no current practical application, this study is nonetheless invaluable. As the Sages taught: One who studies the laws of the Chatat offering is considered as if he offered a Chatat(Menachot 110a). The holiness of the Land of Israel is independent of those mitzvot that may be fulfilled while living there. Just the opposite: the primary holiness of the Land is reflected in the mitzvah to settle it, and the obligation of mitzvot ha-teluyot ba'aretz is an expression of this special holiness. As the Sages taught, merely living in Eretz Yisrael is equal to all the mitzvot in the Torah - and this 'equation' includes those mitzvot that only apply in the Land. "Rabbi Elazar ben Shamua and Rabbi Yochanan HaSandlar set out to travel to Nitzivim [in Babylonia] in order to study Torah from Rabbi Yehudah ben Beteira. But when they arrived in Sidon, they remembered the Land of Israel. They lifted their eyes, and their tears flowed. They rent their garments and quoted the verse: "You will expel them and dwell in their land" (Deut. 12:29). Then they returned home and declared: Dwelling in the Land of Israel is equivalent to all of the mitzvot of the Torah." These scholars had pure motives for leaving Eretz Yisrael. They sought to learn Torah from one of the leading sages of the generation. Yet in the end, they decided that the mitzvah of dwelling in the Land takes precedence. They placed greater value on living in Eretz Yisrael, even at a time when the country suffered from foreign rule and economic hardship. The mitzvah of living in the Land was still in force, even though the Sages of that time found legal loopholes - similar to the hetter mechirah - to lighten the financial burden of certain mitzvot (such as Hillel's pruzbul, and avoiding tithes by bringing produce into the house by way of the courtyard or the roof (see Berachot 35b)). Why did these scholars quote this particular verse, "You will expel them and dwell in their land"? Apparently, they noted that the word "their" is extraneous; it could have just read "and dwell in the land." They deduced from here that even when the Land of Israel has not been fully released from the control of foreign nations - even when it was still considered "their land," the land of the Canaanite nations, and many of the land-dependent mitzvot were not yet incumbent - we are nonetheless obligated to dwell in the Land. This lesson was also valid during the time of Rabbi Elazar ben Shamua and Rabbi Yochanan HaSandlar. Even after the destruction of the Temple, even in a time of foreign rule, the mitzvah of dwelling in the Land is still equal to all the mitzvot. The author of Kaftor VaFerach (Rabbi Ishtori HaParchi, 1280-1355) similarly wrote that the sanctity of the Land of Israel is independent of the mitzvot ha-teluyot ba'aretz. His proof: why did Jacob, Joseph, and Moses all seek to be buried in the Land when it had not yet been conquered and sanctified? In summary, Rav Kook concluded, it is not only possible to be lenient in our days, it is proper to do so, in order to encourage settlement of the Land. Furthermore, the hetter does not cancel all aspects of the Sabbatical year. It only permits those types of agricultural labor that are rabbinically prohibited. Thus the Sabbatical year is not completely uprooted. This hetter, Rav Kook explained, is similar to the permission - and obligation - to desecrate the Sabbath in life-threatening situations. As the Sages wrote: The Torah teaches that we should desecrate a single Sabbath for one whose life is in danger, so that he will be able to keep many future Sabbaths(Yoma 85b). Similarly, by permitting certain agricultural work now, we will enable the full observance of the Sabbatical year in the future.